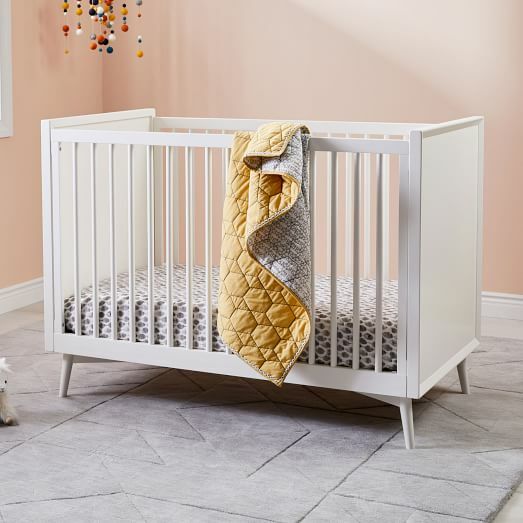 Not to be left behind after Crate & Barrel brought The Land of Nod back home, West Elm partnered with their sister brand, Pottery Barn Kids, for a new kids collection with their modern, mid-century aesthetic. 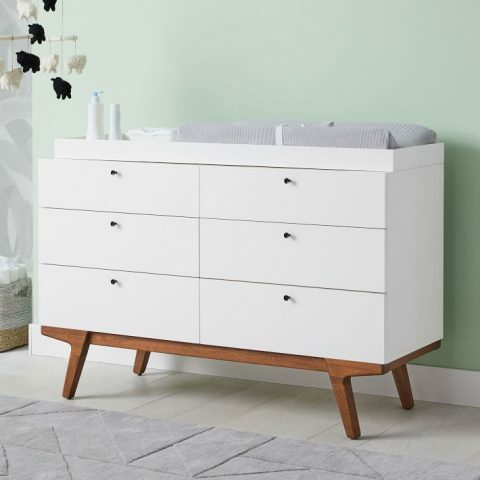 The collection includes three nursery furniture sets that correspond and coordinate with other West Elm furniture. 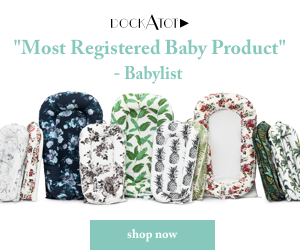 This makes it my top choice if you’re looking to put together a shared bedroom– either a nursery in the master bedroom or a guestroom nursery, or even shared rooms with baby and older siblings. 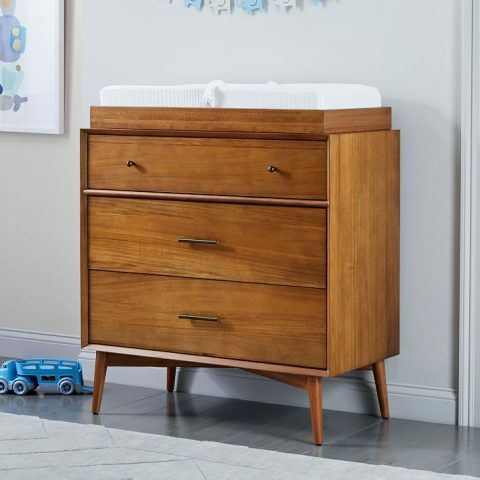 The Mid-Century line includes a Convertible Crib, 3-Drawer Changing Table, 6-Drawer Changing Table, a Mini Crib and a Toddler Bed Conversion Crib. The pieces are available in Acorn or White. 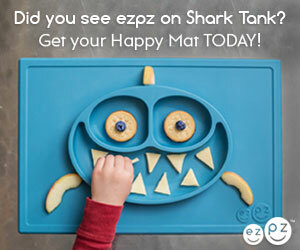 You can also add a 38″ Bookshelf or 22″ Bookshelf for storage and display. The pieces in the Audrey lineup are my favorites. They had me just with the legs! 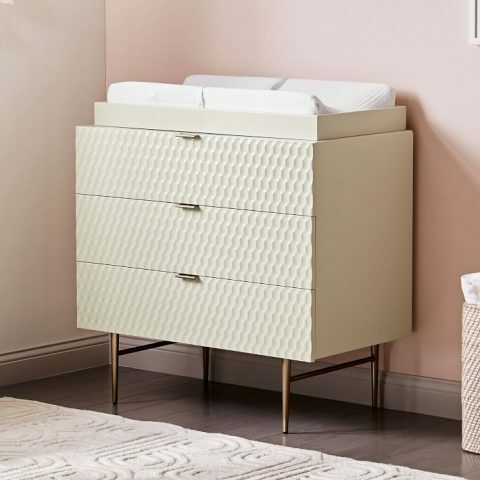 If you love the Audrey style, you can choose the Convertible Crib, add a Toddler Bed Conversion Kit, pick a 6-Drawer Changing Table or a 3-Drawer Changing Table and add a Wide or Narrow Storage Bookcase. Finally, the Modern pieces round out the collection. 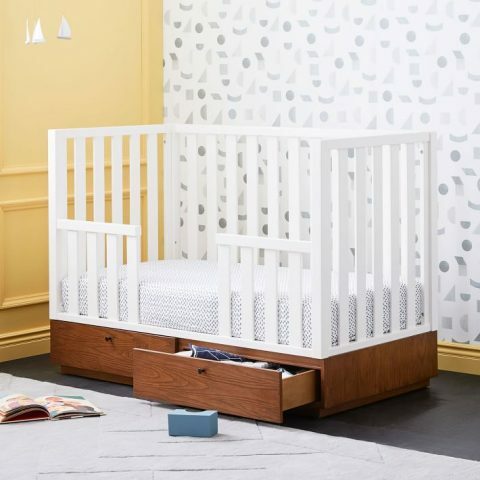 There’s a Convertible Crib, Storage Crib, Toddler Bed Conversion Kit, 3-Drawer Dresser, 6-Drawer Dresser and a Narrow Tower Bookcase and Cabinet Bookcase. 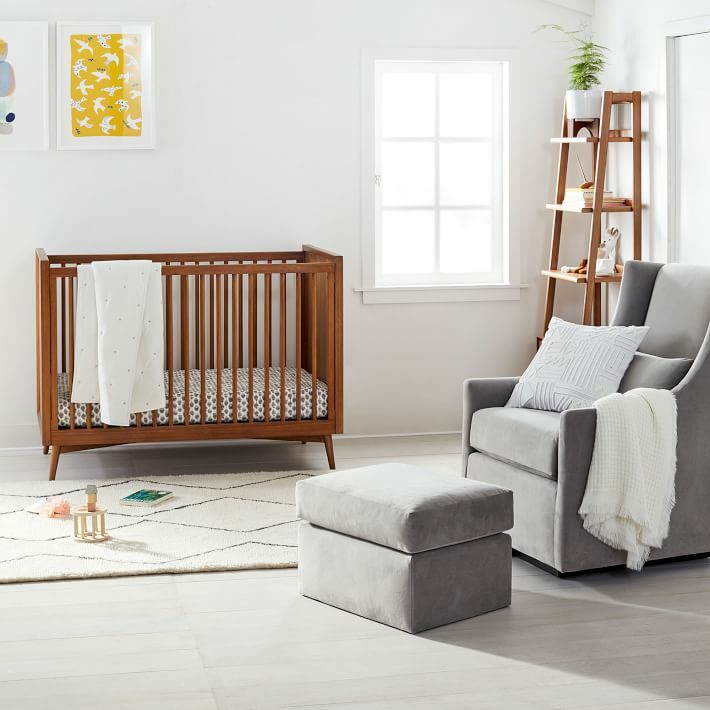 There are two glider and ottoman sets to choose from to finish off your West Elm nursery. The Graham Glider has been around for a long time (we first featured it in 2012! ), and there’s a nice Ottoman to go with it. 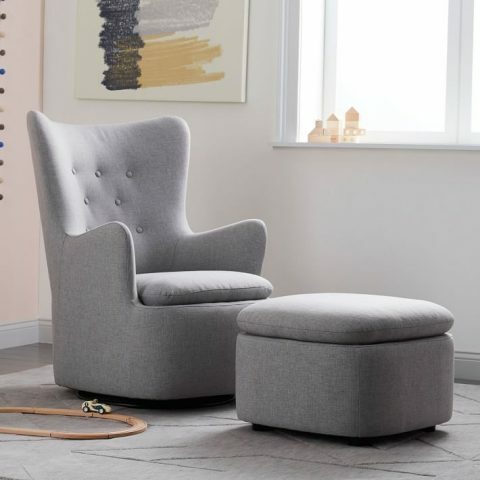 The Niels Wing Glider is a curvy statement piece and the rounded Ottoman is a crucial addition. Both gliders and ottomans have many fabric options to choose from to help customize your special nursery. 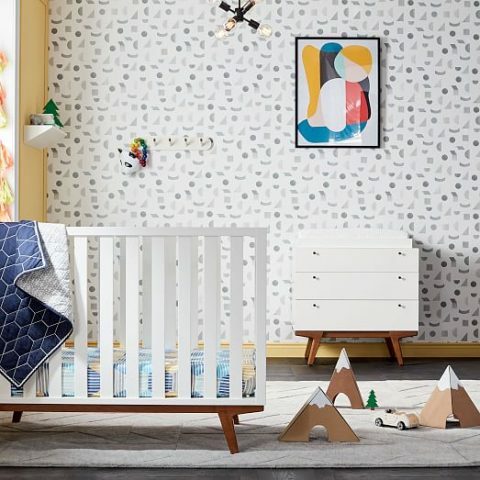 You can dress up and accessorize your West Elm nursery with anything from West Elm, but they do have some specific items to dress up uniquely kids spaces. 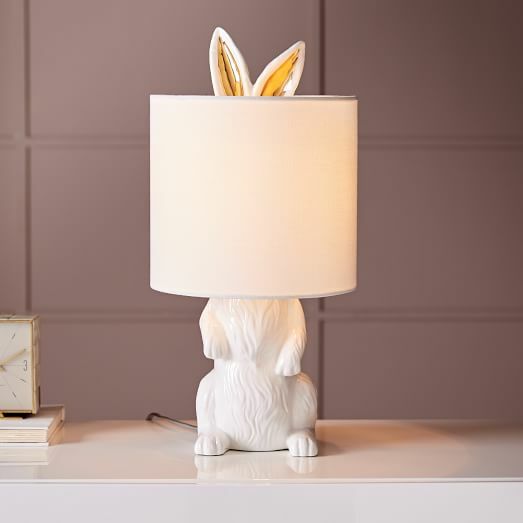 Why add a boring table lamp when you can get this Ceramic Nature Rabbit Table Lamp? 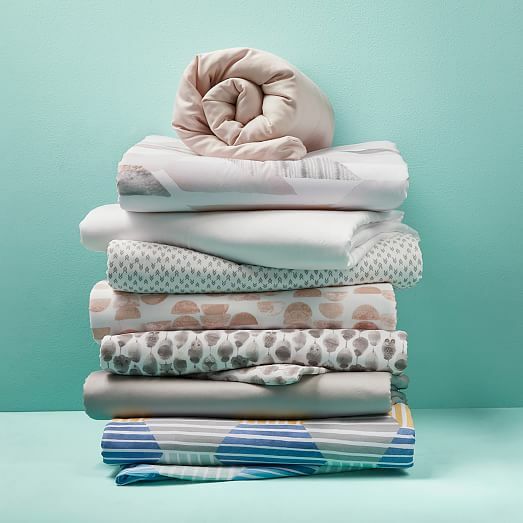 There’s a lovely variety of modern crib sheets, crib skirts and toddler quilts as part of the bedding collection. 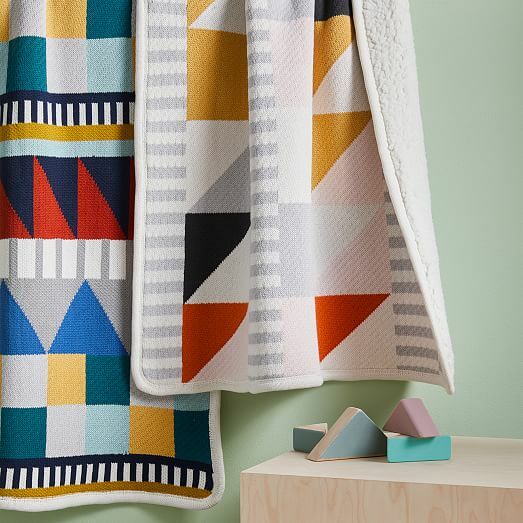 The colors of these knit Cotton Baby Blankets are inspirational. 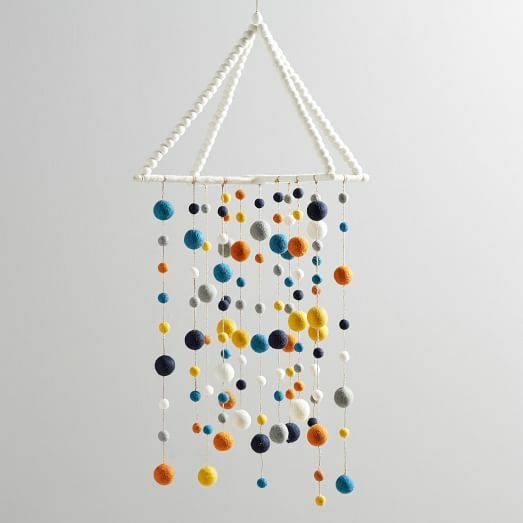 Pillows and accessories include this Felted Pom-Pom Mobile for $40. 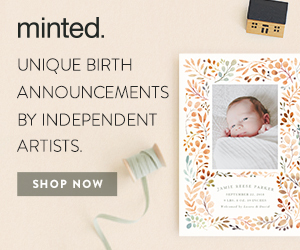 I highly recommend checking out the entire west elm x pottery barn kids collection to inspire your modern nursery.